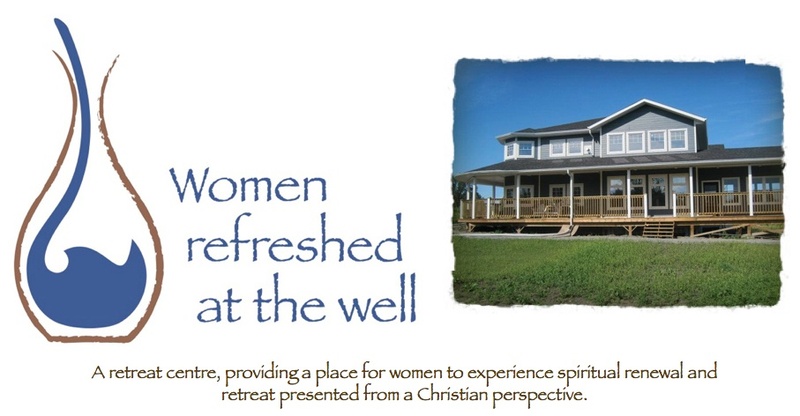 During the weekend of November 9 – 11, I was at a women’s retreat and was asked to share after lunch, about the Vision. I was greatly encouraged by the prayer that our pastor’s wife, Naomi, prayed over me after I shared. I was also greatly encouraged by the affirmation and words that several women shared with me later. Women came to tell me that they were excited about the Vision and that they were there to help if I needed volunteers, if I needed an interior designer, or whether we were ready to receive donations yet. In the evening on Saturday, the speaker challenged us to go and “listen to God” on behalf of each other. When the time came for the women to know who they had been in “listening prayer” for, and it was revealed to the one group that it was me that they were “listening” on behalf of, I found myself weeping again. (I wept ALOT that weekend!) As a result of the time in listening prayer, I was given verses, songs, and words of wisdom from God as He laid them on the hearts of several women. The words from the Lord were so right on for where I was in the journey. Many of the words given to these women, from the Lord, related to not being afraid, and to trust. I then shared with the women how I knew I had to leave my well paying job and to step out in trust. I shared that there was a lot of fear in that regard. During the month of November, I formally resigned from my career in childcare. And you know, I had TOTAL peace and absolutely no regrets about leaving. God is so good. I thanked him for continuing to affirm to me, never tiring of the fact that I always seemed to be asking for affirmation! I think it was because this was such a new season in my life. Everything was so new to me. I was and still am today, so thankful that He loves me so much, and never tires of me asking Him. During the month of November, I received a phonecall, right out of the blue from someone who had heard about the Vision and her heart was stirred. She wanted to have lunch with me so that I could share the whole Vision with her. That day before I left, she said to me, “I know that God wants me to tell you that I am willing to be your servant. Wherever I am needed to help, I will be there for you.” This was so cool ~ but so like God as He continued to use people to affirm the Vision that He had entrusted to me! People wanted to be involved! All of this continued to affirm and encourage me in the calling that I felt from God. Then I got this portion given to me by God ~ Isaiah 55:1. This again affirmed the whole purpose behind the Vision entrusted to me. “Come, all you who are thirsty, come to the waters.” God knows there are so many women who are thirsty for Him ~ who are thirsty and need to be renewed, refueled, and refreshed in body and soul. He is the source of all we need. It is no coincidence that when God entrusted his Vision to me, He also gave the story of the woman at the well (see STORIES) along with it!